When Andy Matsui founded Matsui Nursery in 1967, he set out to make the world a more beautiful place. In 1998, we started the nation's first orchid retail program and today we're one of the world's largest potted orchid growers. More than 50 years later, we continue to proudly grow our flowers in California's Salinas Valley, and we're delighted to bring our easy-care and long-lasting orchids to you. We love our orchids and we love growing them for you! Our dedicated and experienced greenhouse team hand grows millions of orchids every year in a wide range of gorgeous colors, shapes and sizes. From our world-famous cascading Phalaenopsis to our fragrant Miltonias to our show-stopping Exotics, our elegant and exceptional orchids make any space more beautiful. At Matsui Nursery, we’re committed to growing the best orchids you’ve ever owned. We carefully nurture each plant until they bloom into beautiful flowers. Just follow our simple care-tag instructions included with the plant, or read our comprehensive care tips for more detailed information about watering, our 7 steps to reblooming and much more. 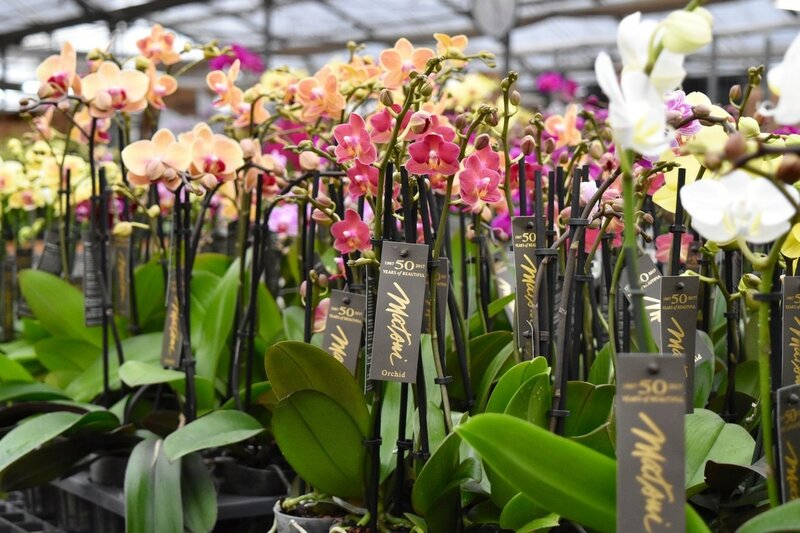 ​Through the sales of our orchids, we actively support the Matsui Foundation and other organizations that serve and inspire disadvantaged and underserved communities in the Salinas Valley. The Matsui Foundation works to empower students through education and enriches their lives through career opportunities.